Bumper car rides will be free from 4–7 p.m. in The Providence Rink at the Alex + Ani City Center. The wildly fun bumper cars were introduced in the rink in 2017, and they have quickly become one of the city’s most popular activities. At sundown, Providence will attempt to break the Guinness World Records title for the "Most People Performing A Choreographed Bachata." With Mambo Pa Ti, Rhode Island’s largest Latin dance organization, more than 380 couples will be dancing in the streets to the romantic tune of Bachata, a musical style that originated half a century ago in the Dominican Republic. The steps aren’t hard for beginners! Around the corner on Fountain Street, The Dean Hotel will host Fountain Street Hooligans. This collaborative family-style farm dinner features north, one of the city’s most popular restaurants, and guest chefs serving up delicious and inventive creations, including whole fish, at a special outdoor table. A lot of the cooking will be done outside as the evening rolls on. 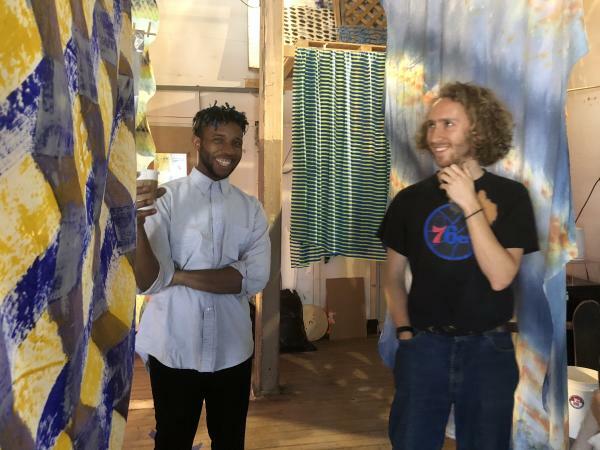 Finally, the streets of Providence will also display work from four public artists, all Providence residents who work in a range of media including metal, fiber and handmade paper. Each of these temporary installations will ignite the city with their uniqueness, proving that Providence is truly The Creative Capital. 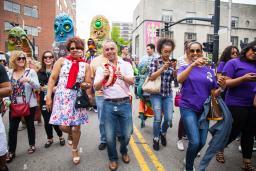 PVDFest is looking for volunteers! Click here to find out more info and to register.